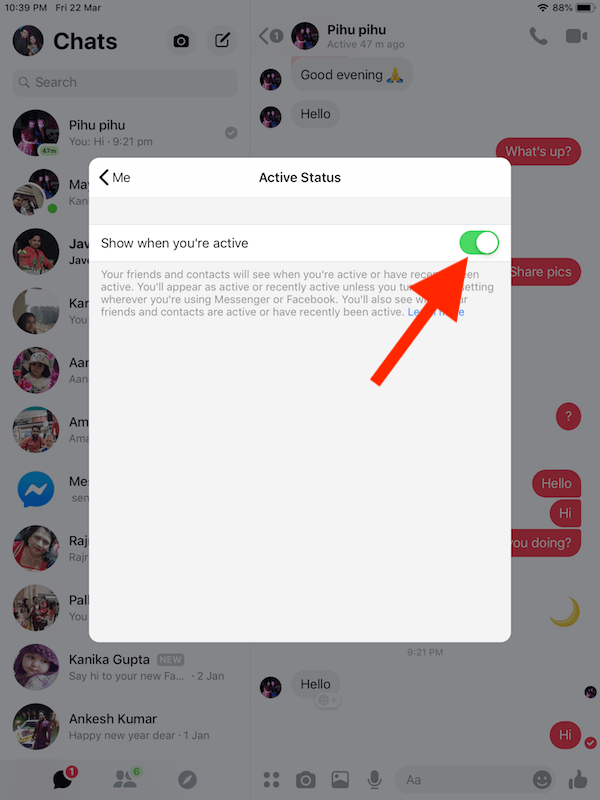 Do you want to appear inactive in the Facebook Messenger app and avoid chatting with all of your friends? 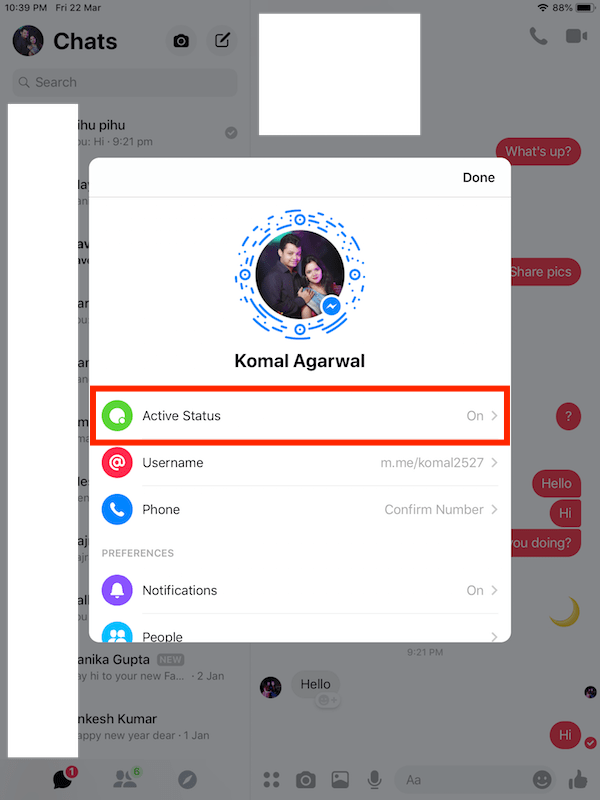 Well, the “Active Status” feature in Messenger allows users to hide their online status and appear offline on Messenger. 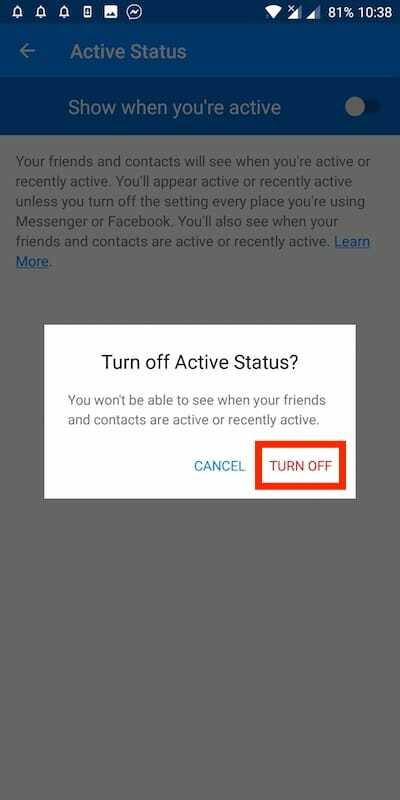 When the active status is turned off, you won’t appear active or recently active in Messenger. Though your friends can still send you messages while you’re offline. This way you can easily get away from having an unpleasant conversation with someone. 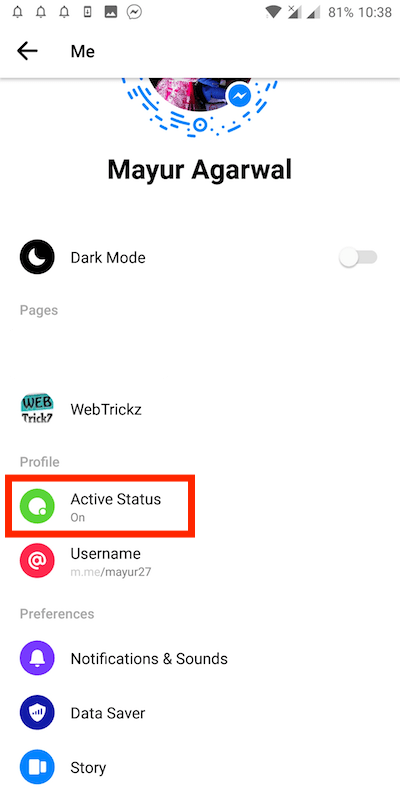 While the setting to turn your active status on or off is available since a long time in Messenger. But Facebook keeps updating the UI of its apps which makes it difficult for users to find certain features. 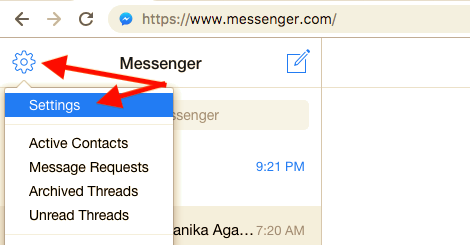 For instance, the option to view message requests in Messenger 2019 is integrated somewhere deep inside. 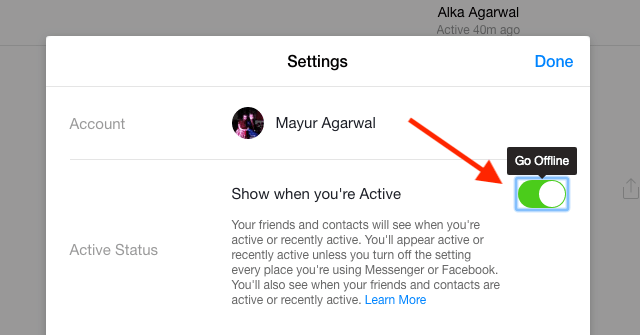 Similarly, the setting to toggle the active status is changed in the new version of Messenger. 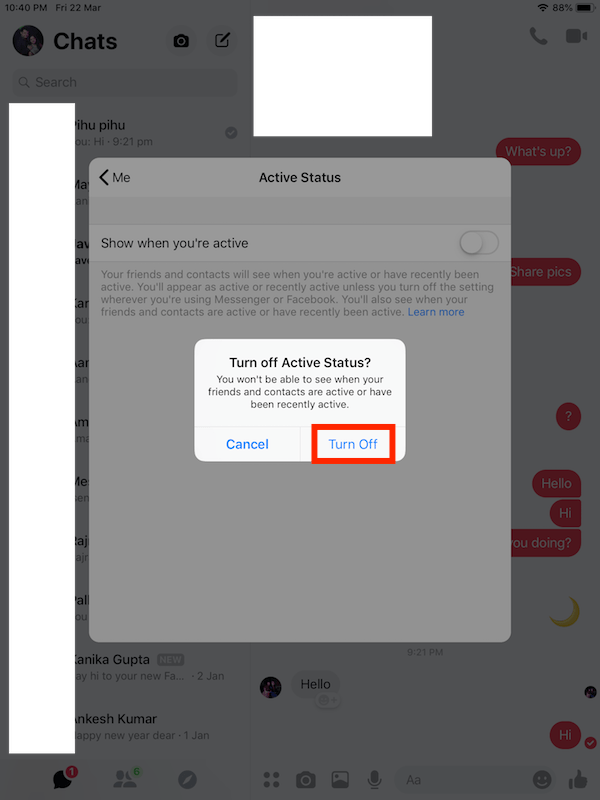 Now let’s find out how to hide your active status on Messenger for iOS or Android. Tap on your profile picture from the top left. 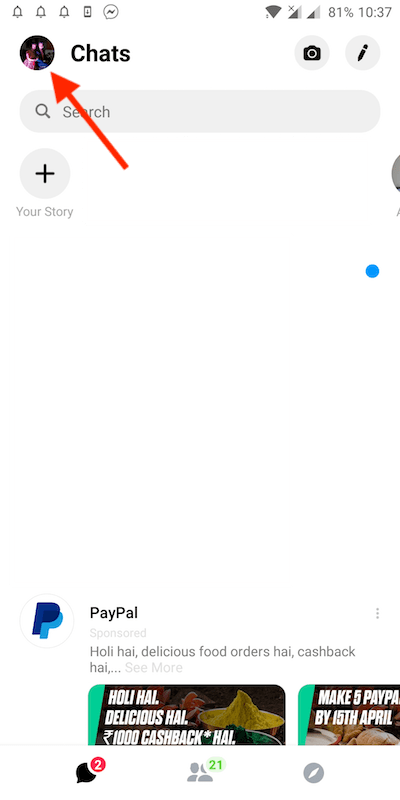 Tap on “Active Status” option under profile. Now toggle the slider button to disable your active status. Select “Turn Off” to confirm. 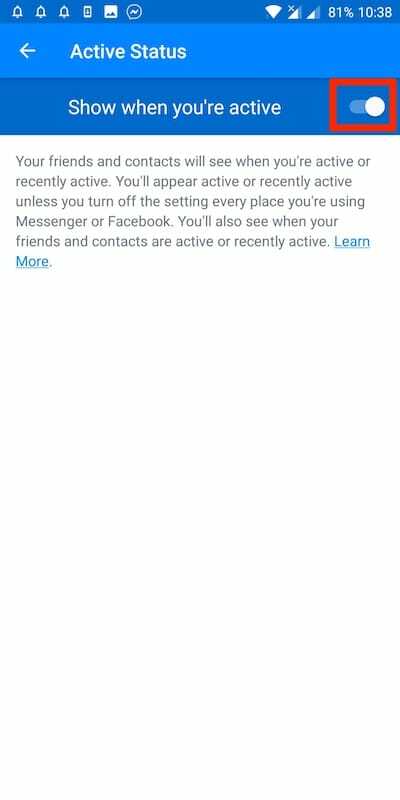 Note: Disabling your active status will also prevent you from seeing the active status of your friends on Messenger. Head over to the Messenger app. Tap your profile picture in the top left. Tap the toggle button and select “Turn Off”. Click on the gear icon in the top left. Toggle off the “Active Status” option to go offline. That’s it! 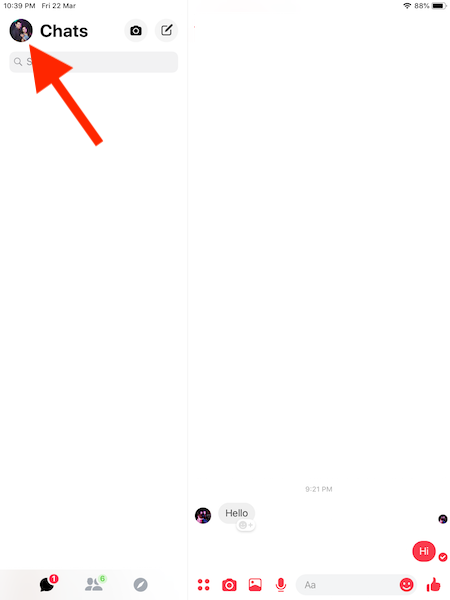 You can now chat on Messenger while appearing offline to everyone in your contacts list.